Just in case you were wondering what goes during our "time off" around here, we thought we would introduce our latest robot companion. 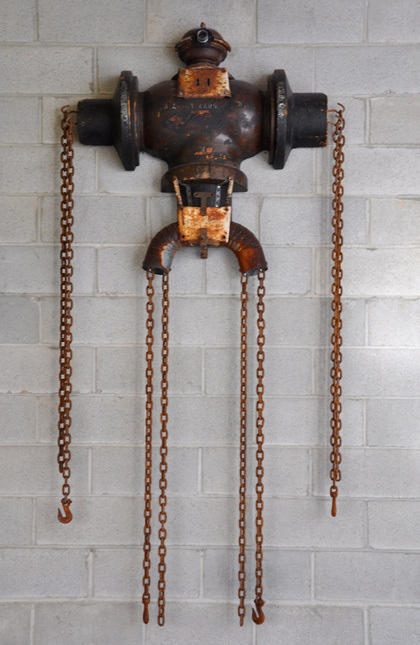 Dave Plunkert assembled this sculpture out of pipe molds, rusty chains and scrap metal. He stands over 8 feet tall and is now securely (we hope) fastened to our wall.